Chantu Locks Simar Room! Sasural Simar Ka 26th February 2016 Written Updates :- The last night episode of the TV series “Sasural Simar Ka” start with Mata Ji (Jayanti Bhatia) is digging in the jungle. A woman is standing there as well. Now Guru Maa asked to Mata Ji that the evil forces are now confronted in your life so do something to get rid of it. Mata Ji believed that Simar is enough to solve problems of her life and Mata Ji actually looks calm. Mata Ji still unable to come in the house and Roli is seen worry for her. Roli feels that perhaps Mata Ji is having some pain on her legs. Janvi looked this but Mata Ji said to them that she is okay. Now Mata Ji is gone in her own room to take rest. Now Mata ji wrote some rules to follow by the family members in the Bharadwaj house and Uma said about this that she will follow all the rules. Now Simar call Guru Maa to look after the room where Chantu has arrived. Guru Maa said I know here is the Chantu arrived. The Guru Maa said something weird is going to happen in the coming days in the Bharadwaj house and make sure to Simar to look after it. 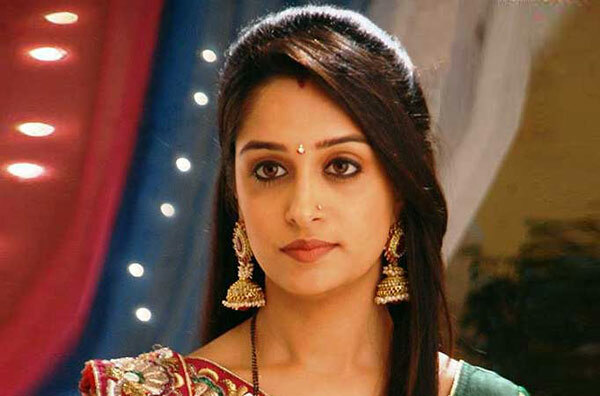 Simar is now beware, in the tonight episode of the TV series “Sasural Simar Ka” it will be happen that Simar will be leaving the house and Chantu will be locks her room and turns into someone else. Don’t forget to catch this entire haunted episode of the TV series “Sasural Simar Ka” tonight at 7:30 PM only on the Colors TV!